“I welcome the opportunity to contribute to the debate on the insurance costs. I want to concentrate on the areas of public liability insurance, health insurance and general insurance. On public liability insurance, much has been made of the recent decision to award €40,000 to a hill walker, which was referred to by my colleagues in their contributions. That has generated a general concern about access to the countryside and walking routes and the fear this may be curtailed with attendant loss to the community and the tourism sector. That would be lamentable but I believe it need not happen. We have to be careful and measured in our response to this settlement and consider aspects of the judge’s verdict. The woman appears to have been an experienced hill walker who had climbed mountains abroad in difficult conditions. Equipment was provided in the park by the National Parks and Wildlife Service which was found to be wanting and had rotted, which led to the accident. We have to consider where there is a duty of care in such situations, and it is not unreasonable to suggest there is, particularly when the equipment was provided. It would be a different matter if the person had stumbled across a bog oak or something naturally occurring in the landscape. The judge found that there was no contributory negligence involved. As I said, the person was an experienced hiker who had the right equipment and a reasonable expectation of care on the route. It is important that we realise that this case was reported not because it is the norm but because it is the exception, and it should not have wider implications for the industry or for walking. Was there negligence present? The judge appeared to think so. It is worth reflecting on the Occupiers Liability Act, and in particular on section 3 which gives landowners the opportunity to downgrade their liability should they wish to do so. That is a measure landlords may wish to consider in the light of that finding if they wish to downgrade their status by erecting signage on their areas, which may reduce their duty of care in those situations. 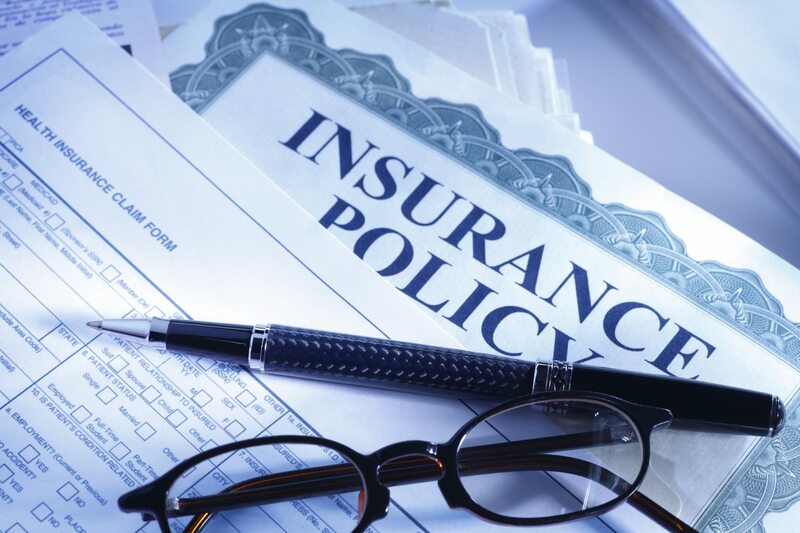 There are a number of options available, short of addressing it through the insurance field, which can allow the case to be dealt with as an isolated case without necessarily increasing costs to the insurance market or the consumer or restricting access to such public places. On the same case, it has been suggested to me that another implication that has arisen is that, historically, a number of community groups may have been involved in putting in place pathways and walkways or restoring old bridges or towpaths, or greenways as we refer to them now. There may be some concerns about vulnerability if, say, a Tidy Towns group or Irish Men’s Shed-type group has been involved in some restorative work as a community project and perhaps in the absence of a written agreement with the landowner. A potential vulnerability of those groups in the case of litigation is something that may be considered. On the field of health insurance, and I must declare an interest because prior to entering this House I worked in the industry, it is a complex industry and one that in this country is undoubtedly expensive, although not by comparative international standards. Health insurance in Ireland is probably more accessible and affordable than in many jurisdictions, in particular the United States. Our health insurance system is underpinned by the concept of community rating, which is essentially a one size or one price fits all approach. The fundamental premise is that at the age of 18 or 80, despite having wildly different health costs and exposures, one pays the same price for the same plan. That intergenerational solidarity enables the younger members of the market to subsidise the older members. The theory, underpinned by public policy, is that as one moves through the stages of life, one will get out at the end what one puts in at the start. It is a good system. It works in many jurisdictions, including Australia, Ireland, Switzerland and the Netherlands. Until recently one could jump the gun by only joining the system later in life. The recent introduction of lifetime community rating, LCR, which addressed that, is to be welcomed. However, flaws remain in the system. In particular, the concept of risk equalisation is a technical measure which allows different insurers in the same market to apportion risk according to their risk profile. Put simply, those insurers with an older book of insurance have a higher claims exposure and those insurers with a younger book are paying out less in claims but with the same price being applied to all customers regardless of age or health status, risk equalisation allows a transfer to a central fund to balance the risk between each insurer and ensure there is no profiteering on the basis of this approach. The system works well, where it works, and means the incentives to private companies are to compete on operational efficiencies, health outcomes, health care excellence and early diagnosis rather than on the basis of health status or trying to discourage older or sicker members to join a particular insurer, which would be contrary to the premise of community rating. Risk equalisation is not yet fully effective in this jurisdiction. Some measures were introduced recently but they still fall some way short of a fully effective system. We must urgently address the risk equalisation system to provide a level playing field across the health insurance market and ensure that all customers, be they young or old, can benefit from the system of community rating, and that intergenerational solidarity allows the younger members to subsidise the older members and ensure quality of care in the private health insurance market across the board. This, in turn, saves the State money, because a functioning health insurance market reduces the burden on the taxpayer and the public health service. In budget 2014 the Minister for Finance at the time introduced a cap on tax relief for what he termed “gold-plated plans”, which I think was a retrograde measure. I hope it is now acknowledged that the gold-plated plans that were referred to actually represent 90% or more of the market and the vast majority of plans were affected, leading to a rise in the cost for consumers. This may have led to some shrinkage and exiting from the market, which does not help the system of community rating and results in a rise in premiums for everybody who remains in the system. The concept of product proliferation is often discussed, whereby there are multiple health insurance products on the market. This leads to confusion among consumers and within the insurance industry. It must be understood that this is a function of the Health Insurance Authority, HIA, which mandates that every change in a benefit or plan leads to the creation of a new product. It is something of an artificial construction and I urge the Minister and the HIA to re-examine the rules in this area for simplicity and ease of competition in the market. Moving on, briefly, to the field of general insurance and the rising premiums we see there, I have heard of anecdotal evidence that this may represent the reluctance of many insurers to tackle fraud adequately or to challenge claims and we see a large proportion of settlements on the steps of the court, as my colleague, Deputy McGrath, alluded to earlier. From speaking to private investigators and people involved in the claims analysis and claims investigation sector, there are many cases with flimsy evidence that proceed to settlement in the absence of trial, when a trial would have found against them had they gone the distance. It is submitted that insurers should have the courage of their convictions to proceed to trial in these cases where at least an arguable case presents. That in itself would discourage opportunistic claims, reduce the number of unnecessary settlements and reduce costs. This is backed up by section 14 of the Civil Liability and Courts Act 2004, which references the onus on claimants to provide an affidavit of the truth of their claim and evidence supplied. Criminal prosecutions can ensue from a false claim under that provision. It is very rarely invoked and I am not sure there have been any successful prosecutions under that section, but it is there. The law is on their side and it should be used in those cases to challenge bogus claimants to prevent them defrauding insurers and in turn passing the price increases on to the rest of the market and the ordinary man. A final point on the cost of general private insurance. The book of quantum needs to be revised. The majority of cases coming through insurers and going to litigation reference the Personal Injuries Assessment Board settlement guide. Against international comparators, many of the metrics of quantum in that are outdated and overpriced. For example, the price of whiplash and standard injuries can be referenced in this book and used as a guide for settlements. Many of these are known to be very much inflated by international standards. Revising the PIAB book of quantum would lead immediately to a reduction in settlements and therefore a reduction in the cost of personal injury claims and of general insurance. That is a brief synopsis of some points regarding the health insurance and general insurance markets. I thank the Acting Chair for the opportunity to contribute to the debate.